For Sunny Bee, being truly helpful means going anywhere and everywhere. When his beautiful sunflower friend Myah becomes very ill, Sunny travels to the “far side of the hills” seeking help. Faced with a series of challenges including a raging storm, large spiders, or even the intimidating Grandfather Oak, Sunny’s dedication never wavers! Bee Helpful is a great story for teaching your children about the true meaning of friendship. Sunny and Myah are an unlikely match as far as friends are concerned. When Myah needs water to survive, Sunny is ready to get water to her no matter what - even though bees aren't supposed to like water. Sunny goes above and beyond and uses every resource he can find in order to get water for his friend. He even risks his own life to ensure that his friend can survive. What a fun and simple way to teach children about being a great friend. J.W. Edwards III was born in St. Louis, Missouri and spent the majority of his childhood there. Eventually he left St. Louis for engineering school and job opportunities. He has traveled across most the U.S. in search of a place to call home. He currently resides in northern California with his wife and three boys and works full-time as a software engineer while writing stories for his youngest son in his spare time. J.W. Edwards is busy these days working on a variety of writing projects which includes the Sunny Bee Book Series. Book number three, Bee Helpful, was the first one to be published. Books 1, 2, and 4 will follow soon in 2014. Learn more about this series at www.sunnybeebooks.com. I received an advance copy of this ebook from Baker Publishing Group in exchange for my honest review. All opinions are my own. "Why do women have to be complicated, Wellborn?, he grumbled. The Butler shook his head, a hint of a smile lighting his eyes, "I suppose God wanted to ensure we never grew board, sir." The prologue of this book threw me a little. I had read the description, but then it just didn't start as I was expecting. As soon as the actual story started, though, I was hooked! Nicole Renard is the sole child of her the successful Renard Shipping Company. Of course, in the mid-1800's women didn't run companies. On his death bed, Nicole's father sends her to New Orleans to find a suitable husband - one that is worthy of inheriting the business. Also at steak is the Laffiet Dagger - a family symbol of success in Galveston. When the rival family, the Jenkins, try to go after Nicole and the dagger, Nicole changes her plans. She is heard-headed, stubborn, and independent. Her change of plans lands her in Oakhaven and in the life of Darius Thornton - crazy engineer/scientist guy who just happens to secretly be the son of another successful shipping company. From the moment Nicole and Darius first met I got excited about their relationship. I just knew that they were perfect for each other and found myself wanting to keep turning the pages to see if they ever figured it out for themselves. With each twist and turn, each obstacle and near miss, I was cheering them on and hoping with all hopes that all would work out for them. I actually caught myself smiling as this relationship unfolded. 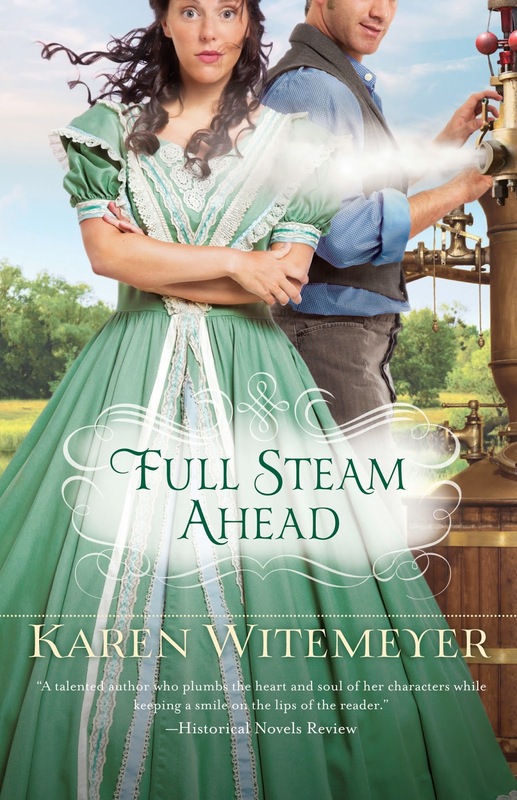 This was my first Karen Witemeyer book but I now consider myself a fan. I would love to see this book on the big screen. It would make an amazing movie! The book goes on sale June 3, 2014. Morgan Callahan has just finished her junior year of high school. Her mother has remarried and decided to take a summer long honeymoon with her new husband. That leaves Morgan shipped off to Aruba to spend the summer with her dad, Peter. Morgan and Peter have not seen each other in many years, and Morgan has already made up her mind to have a miserable summer. Morgan arrives in Aruba and is immediately hassled at the airport by some shady characters. She is rescued when Peter's assistant, Cy, shows up to pick her up and bring her home. Turns out Cy gets Morgan's attention almost immediately. The feeling is mutual. Within the first few weeks of being in Aruba, Morgan decides that life isn't going to be too bad. She and Cy begin dating, she makes a friend, and she begins to enjoy her life on the island. 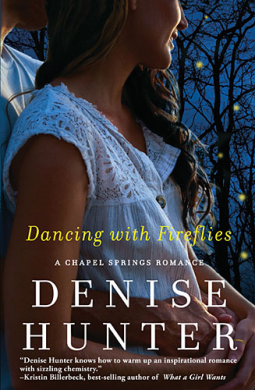 Just when you think this book is going to be your standard young adult love story, there is a turn of events that throws some suspense into the story line. This is a great light read. I immediately became attached to all the characters and found myself smiling at all the happy parts in their lives. I wanted things to work out with Morgan and Peter, and Morgan and Cy. This is considered a young adult read, but I really think anyone in my age group would enjoy it as a fun read. Reading it took me back to my youth to a time when life was fun and carefree. I feel like that feeling of going back is what helped to connect the reader with the characters so quickly. This book was on the freebie list when I got it, but it still priced very reasonably now. Go check it out. I received a copy of this ebook from NetGalley in exchange for my honest review. All opinions are my own. Jade McKinley has left the small town of Chapel Springs to make a new life in Chicago. However, things in Chicago don't go exactly as planned and one horrible date turns her life upside down. Pregnant and hurt, Jade returns to Chapel Springs to be near her family. Only she doesn't make her family her first stop in town. Jade arrives on the doorstep of Daniel Dawson, her love-you-like-a-brother friend that has been a part of her family for many years. Daniel is the mayor of Chapel Springs and comes from a family of successful politicians. We quickly learn of the hurt and heart break that has caused havoc in the lives of both Jade and Daniel. We also learn that Daniel has loved Jade for many, many years. As this story unfolds I found myself cheering for Daniel to just tell Jade how he feels. Wanting him to confess his love and let them get their happily-ever-after. But things never go that easily! Jade and Daniel end up spending so much time together and Jade comes up with a plan that she thinks is going to solve all of their problems. If only love didn't get in the way. I really enjoyed how the author kept this story going with ups and downs and twists all along the way. As the story nears the end the suspense builds and I couldn't put this book down. I had to know how it ended. And it ended with the most perfect ending I could dream up. I absolutely loved this story so much. It is part of a series and now I want to go back and read the previous books to learn even more of the history of this perfect relationship. I received a copy of this book from NetGalley in exchange for my honest review. All opinions are my own. Sarah Cooley has finished college and returned to the teeny tiny town of Last Chance to begin her teaching career. Sarah's family runs a ranch in Last Chance and Sarah finds a house just a few doors down from her grandma. I just love Grandma in this book. Grandma is set in her ways and very determined to make Sarah "behave" in the appropriate way now that she is back in town. Chris Reed is the new-to-town and new owner of the Dip 'n' Dine. Apparently the Dip 'n' Dine is the only restaurant in Last Chance because everyone keeps ending up there - several times a day. Of course Sarah gets Chris' attention the first time they meet and Chris is determined to have Sarah in his life. But Sarah has some baggage (aka Brandon) from college that just won't seem to go away. It seems like every time Sarah starts to have an interest in Chris, Brandon pops back up again. And then things are complicated with the addition of Olivia, Chris' niece that ends up in Last Chance as well. I did love enjoy this story. The thoughts of Sarah settling back into her hometown after college reminded me a lot of when I returned home. My entire family is here and everyone had an opinion of how my life was supposed to be. I also liked that the author didn't seem to try to lead you in the direction of the "right" guy for Sarah. Reading this book you are kind of left to decided for yourself how you want it all to end. Thankfully though, everything ended exactly how I wanted it to! 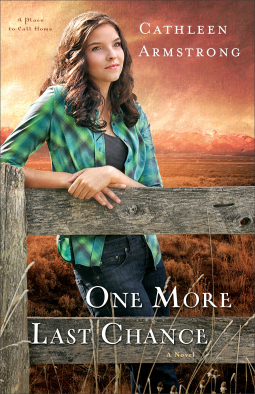 One More Last Chance is actually the second book in a series, but it is easily a stand alone book. I did not feel that I had missed anything from not reading the first book. Book number three is due out in 2015 and I am looking forward to it. This book started out pretty good and had great potential. Husband and wife go on an anniversary trip amd husband disappears without a trace. As the details unfold you really get drawn into the story. Unfortunately this book got really boring just shy of the halfway point. The author seemed to move so quickly and skipped over story details that would have likely made this much more enjoyable. Things did get a little better toward the end, but by that point I was so bored I just wanted to get it over with. This book just was not for me. I'm almost embarrassed to admit this was my first John Grisham read. I always thought his books would be something I'm not interested in, but I was so wrong. Sycamore Row is the follow up to A Time To Kill. Yes, that movie I watched way back in the day. I had to go read up on the first book to refresh my memory as to what happened. In Sycamore Row, Jake is back and with another tough case. Seth Hubbard has committed suicide and left millions to his housekeeper, and has specifically cut his children out of anything. Problem is, he did this right before his death so the kids have an old will they would like to uphold. The mystery surrounding the entire story is why did this white man leave it all to his black housekeeper. What is the connection there. In a small town where black and white still don't miss too well, the rumors start swirling. Jake is hired by the estate to sort it all out and convince a jury to give the money to the housekeeper. Of course there are ups and downs, lies, suspense, and more. I read this book in three days, staying up well past midnight each night. I simply could not put it down!